About the Event: International Yoga Day, or commonly referred to as Yoga Day, is observed every year on June 21 since its inception in the year 2015. On this International Day of Yoga, head over to the British Council to practice some yoga asanas and discover the sense of oneness within yourself. After all, it is all about a holistic approach to health and well-being. 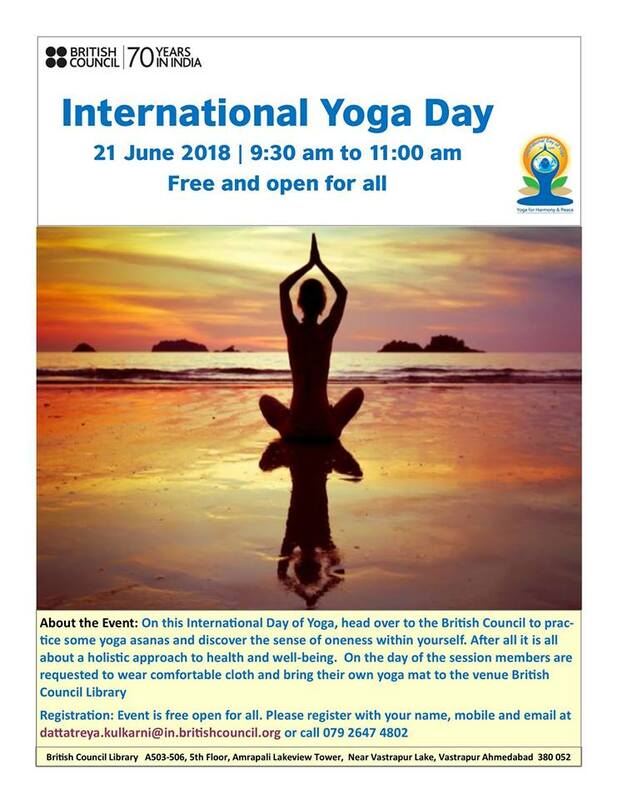 On the day of the session, members are requested to wear comfortable cloth and bring their own yoga mat to the venue British Council Library.